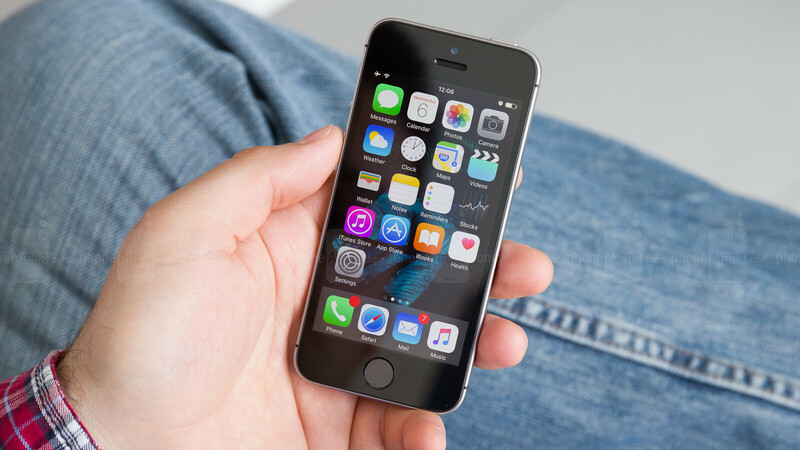 Would you like to see a new iPhone SE? The iPhone SE — a tiny, by today's standards, yet powerful smartphone for those that refused to upgrade their compact iPhone 5s units — was announced more than a year ago. The handset has its own share of devoted fans thanks to its form factor, and we kind of wonder — will there be an iPhone SE 2? WWDC is just about to start and, thus far, we haven't heard one solid rumor about a new tiny iPhone. Sure, secretive Apple may have something under wraps, but we don't have high hopes for a new SE generation to show up at the event. We wouldn't be alarmed yet — the iPhone SE was sort of designed for the slow upgraders — the people who don't mind sticking with older tech as long as it's small, easy to lug around, and fits the ton of accessories they've already bought for it. Such a target audience can definitely live with a 2-year upgrade cycle. But... what if the tiny iPhone dies with the SE and the series is never reiterated? Would you like to see it refreshed, or should we just continue looking forward to big-screened, small-bodied smartphones of the future? Would you like to see an iPhone SE 2? Yes, please, I love compact high-tier phones! I absolutely don't care about small smartphones. Yes, please, I love compact high-tier phones! I absolutely don't care about small smartphones. I can't wait for it! I already skipped the ugly iPhone 8 and waiting for this. But the leaks about iPhone 8 recently... almost everywhere. That tiny 4" non HD display has got to go. Or at least make it a full HD display that is 4". Hey if others can put a 5.5" 4k display that has a dpi of over 800 dots per inch. Even a 4.3" display could easily have a full HD display. The only reason why Apple continues to use such a low resolution sub HD display, is for benchmark bragging rights. Using a display that doesn't even push a million pixels and then it's compared to other flagships that are pushing almost 6 times the number of pixels is always a good laugh. That is overkill, ask yourself why Sony never put a FHD display on the Z1 Compact? The cons of having a high resolution on a small display far outweighs the benefits. Having a 4K screen at 5.5" is acceptable since there is much more headroom when size is accounted for (such as battery). I think FHD is only viable for displays 4.7" and above. for 4.0", I think that 640x1136 display resolution is enough already, you probably won't be squinting your eyes on such a small screen right? Unlike on a big screen (like the 4K XZ Premium) where the screen is larger and a lower resolution than 1080p can result in visible pixels. Just as there is no real reason for a device to have more than 4GB of RAM when running a 32-bit operating system (since about 3.2GB is the maximum amount of RAM that can actually be addressed by a 32-bit OS, due to the hard limit on the number of addresses possible within 32 bits) like Android, there is no real reason to have more than 300ppi on a screen when you are using it more than ten inches away from your face almost all of the time. I’ve heard of phones that offer as much as 800ppi, but this is insanity… why pay so much extra for a difference that you will likely never perceive with your natural eyesight? Apple was smart when they figured out that they should optimize their “Retina” display to be just over 300ppi. I would never pay extra money to get more than that, just as paying for more than 4GB of RAM is absolutely unnecessary (until Android becomes a 64-bit OS, at least). Now, Apple does put a super-premium price on all of their devices, including the iPhone SE. I will never pay $400 for device like that, even if it is one of the only compact smartphones there are. That said, it would still be nice to see the next iteration of the iPhone SE just to get the assurance that somebody will have the backs of compact device users, even if they are overpriced, into the future. Perhaps the first-generation iPhone SE will become more affordable then. I only have budgeted about $100 to throw at whatever device I get next, and I probably won’t do anything about it until next year, but I do hope to see what Apple can do for a second-generation iPhone SE, and I hope that other OEM’s will start to see that something needs to be done for affordability in the compact smartphone segment. Samsung’s compact phones are too big already, Sony’s compact phones are still too expensive (though not as expensive as the iPhone SE), and nobody else seems willing to play in that space these days. With my budget, I may not be able to afford a compact phone anymore. Actually the only reason I would like to see a new iPhone SE is to crush benchmarks. And no, I have an android phone, but watching how the old iPhone overcrushed in 3D benchmarks with its new CPU and small resolution just make me laught. And yes, same was for the Z1 compact, but Sony didn't make one since the time. I'm doing the same thing! I like to see that it could bit android phone or new iphone on benchmarks (on screen and, sometimes off screen). I do it also to compare camera. I agree. There is no need to have a FullHD or 4K on a 4" display. Lol, you are going to skip a phone because of rumors, lol No you are skipping it because you were never going to buy it. Yup, keep the current size, squeeze a larger screen in, done. So it's moreso about the physical size of the phone, rather than the screen size? Interesting. I never even thought it could be this. I thought people just genuinely liked the smaller display. But the physical size moreso than the screen makes perfect sense. Yes. It's not for me but there are people needing compact phones. no thanks, enough used iPhones at my display cabinet, all traded from customers. It's easy to believe, especially since a number of carriers were offering a BOGO deal, and some are still offering a deal where you buy a brand new iPhone and you will get a free iPhone SE. So kiko007 it is certainly the truth. They've sold 19 million SEs at last count. That's more than every Android OEMs flagship except for the S7 combo from 2016. But the SE isnt a flagship...so the comparison is stupid. Too bad, it didnt outsell ANY PHONE IN ITS CLASS! Name a single midrange phone that outsold the SE, Techie. The Galaxy A series has sold more than 20M devices I'm sure Samsung sells 300M devices. The S and Note account for roughly 1/3 of those sales. The rest are all the other Galaxy and non-Galaxy devices. Samsung doesn't have many non-Galaxy phone. I'm only considering phones, that I know are sold in several markets. The A and J series are sold in several markets. So based on Samsung's own sells numbers per year, and since no one even releases sales numbers, all the "Galaxy" device all outsell the iPhone every year. But again, you compared the sales of the iPhone SE, which is not a "flagship" to the sales of a flagship. You compared the sales of a $400 phone to sales of phones that usually are $599 or higher? Cheaper phone outselling a more expensive model, would be pretty normal. Hey a Camry doesn't outsell a Carrera GT. Hmmmm I wonder why? At least compare products that are classified the same to start! "The Galaxy A series has sold more than 20M devices I'm sure" "A series..." "SERIES!!!..." Bruh... I said PHONE, not SERIES OF PHONES! There's no way in hell any of those damn things sold 20 million on their own. Maybe together, but not as a singular product! Maybe the best way is to compare the iphone SE to Galaxy A3. How much? Performance? Phonearena could you please do a comparaison between iphone se vs Galaxy A3 2016 & 2017 vs xperia z5 compact and phone with a screen range 4" to 4.2", price 300$ to 400$? This article says, that Samsung Edge phones, which based on this articles date does not include the S8's, are 55% of Samsung market. That means in just 3 years the edge phones have been out, those phones combined have sold over 150M+ devices Samsung Galaxy phones outsell all phones because they are the vast majority of what they make and sell. Samsung has very few models that are Samsung non-Galaxy. I can bet even without actually numbers, the A series which is 3 main devices, sell far more than 20M combined as a single series vs the iPhone SE. Especially consider, the A3 is $300. Since Samsung doesn't give sales numbers for each model, we have to guess. So lets use some logic: Samsung sells on average 80~83M phones per quarter. In Q1, of any year, the vast majority of the sakes will be an older S, the latest Note released in the last quarter of the previous year, plus there other selling model. The S will see some increase sales due to BOGO, and Black Friday deals. Fair? So once you remove the flagships from the list, what's left. Well the only other phones that sell in as many markets as the S and Note, is the A and J series. A is a mid-ranged option that is very comparable to both iPhone's specs. The A series starts at roughly $300. At that price point, it means its more affordable than either Apple option, in countries where Apple and the Galaxy S/Note, are not affordable. The Galaxy line makes up more than 80% of Samsung sales. These are the Galaxy phones: 4.2	Samsung Galaxy S - is sold in over 300 countries 4.3	Samsung Galaxy A - is sold in over 200 countries 4.4	Samsung Galaxy C - mostly sold in China 4.5	Samsung Galaxy E - sold everywhere else 4.6	Samsung Galaxy J - Sold in over 200 countries 4.7	Samsung Galaxy On - mostly sold in Asian markets like the Philippines 4.8 Samsung Galaxy Y and Samsung Galaxy Young - mostly sold in Asian markets like the Philippines According to that list, Samsung phones that are available in more countries will have the highest sales due to sheer numbers. Also other phones that sell in the 20M market easily? Sony's Xperia I am sure sells more than 20M. I'm not counting the flagship model. I am counting all their midranged Xperia models which there are about 5 phones at least. I am sure LG midranged models also sell more than 20M as well. I do not understand KIKO, why you think APple is the only one who sells phones of any model in double digit millions. They are not the top seller in any category. except one. But that is only because you all consider the iPhone a premium flagship, but factually it isn't. Based on Apple's own phone lineup, the iPhone Plus model is the top model, while the based iPhone is amid-ranged model and the SE is a lowend model. Based on Apple own sales the base iPhone is the biggest seller because of its lower price point. Apple has 5 selling model per year now counting older models that still make. The Plus model is there second highest seller. I want to see an iphone se 2 vs. sony x compact 2 vs. samsung a3 2018 match-up this year. Let's see if they will adapt the 2:1 screen display to the minis. Usually samsung mini phone have been non-sense. Worse camera, bad cpu and what not again. Why not begin this year with iphone se vs A3 2017? Yes please. With updated radios and a better front camera (and the camera of the iPhone 7 with OIS) would be great to have.